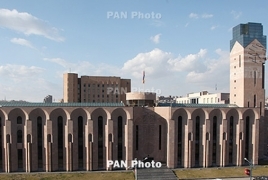 PanARMENIAN.Net - Snap election for Mayor in the Armenian capital city of Yerevan will be held on July 16, according to a decision made by the Council of Elders on Thursday, July 12. The decision was approved 34:11, with one abstention. Former Mayor Taron Margaryan submitted his resignation on Monday, July 9, without providing reasons for such a move. In November 2011, Margaryan was elected the Mayor of the city by the decision of Yerevan City Council.Following elections of the Council of the Elders in May 2013 and May 2017, he was re-elected in the post.